David joined the Practice in 1984 and became a Senior Partner in 2010. David retired in 2017 and he is now a Consultant to the practice. His extensive experience and track record covers a broad range of sectors and project scales. 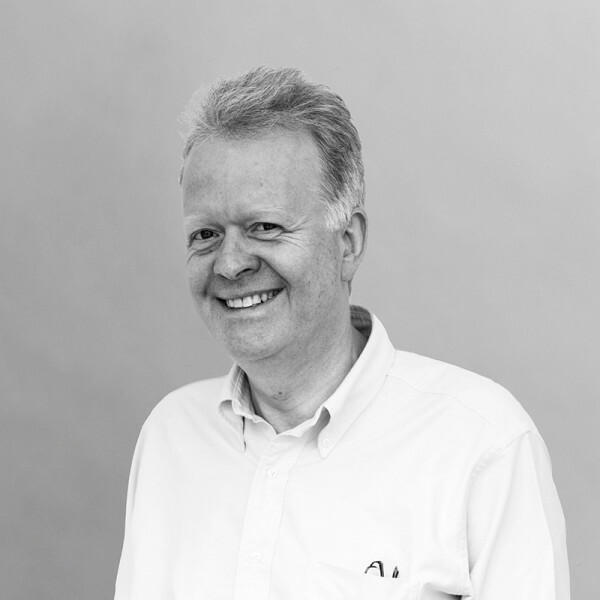 His early work with the practice includes Bracken House in the City of London, the Mound Stand at Lord’s Cricket Ground, Portcullis House and Westminster Underground Station for the Jubilee Line Extension in London, and the Utopia building for Broughton Hall in North Yorkshire. David has extensive experience with regeneration and masterplanning; projects in these sectors include the Framework for Regeneration of Hull City Centre, a masterplan for the northern end of the Bund in Shanghai, a mixed-use regeneration project in Hastings, the Northgate mixed-use development in Chester, a masterplan for Walsall Urban Regeneration Co, a new hotel and mixed use development at Douglas, Isle of Man and a scheme for the regeneration of Greenwich Market. Additional projects include the River Don Masterplan in Sheffield, the market redevelopment at Greenwich Town Centre in London, a residential scheme in Moscow, and student residential facilities for Bath Spa University and Swansea University. His work for the public sector includes Hackney Service Centre, and the landmark Brent Civic Centre, which achieved a BREEAM Outstanding rating as the most sustainable local authority building in the country upon completion. He also worked on a series of developments across southern England for the Dementia Care Company Red and Yellow. David has lectured on the practice’s work throughout the world, most recently in Mexico where he gave a keynote address at the 8th International Congress for High Technology Bioclimatic Architecture and Sustainable Design.